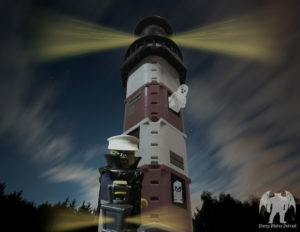 Blurry Photober is underway with an exploration of haunted lighthouses! Blood stains, eerie music, and freaky phantoms are but a few of the heinous things found in haunted lighthouses around the world. A handful of them dot the coasts of this episode, and Flora takes you up and down the spiral stairs of each. You’ll visit such spooky spots as South Manitou Island, MI, Point of Ayr, Wales, Seguin Island, ME, Yaquina Bay, OR, and Point Lookout, MD. Chilling tales abound, and one even has quite a few EVPs. Take a nice, leisurely sail on the high seas of high strangeness and let these formidable fright-houses guide you home in this episode of Blurry Photos! Elizabeth, Norma and Roberts, Bruce. Lighthouse Ghosts. Crane Hill. Birmingham, AL. 1999. Jones, Ray. Haunted Lighthouses. Globe Pequot Press. Guilford, CT. 2010.